The Bay Area Rx-7 Club helps Mazda introduce the 10th Anniversary Rx-7. The Bay Area Rx-7 Club, Inc., dissolved as a California non-profit corporation in August 2010. Click here to goto the archive and historical site. To add names to the email distribution list for Bay Area Rx-7 and rotary enthusiasts list, please use the Mailman management page. For comments, further information about this WWW page or to add a hyper-link of interest contact: John Schubert. 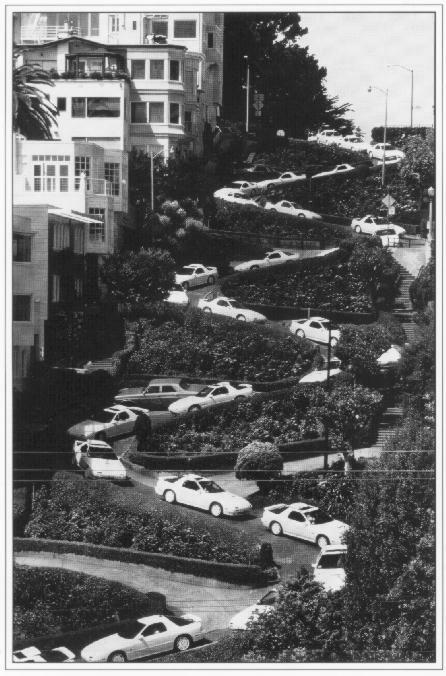 Please note that the image of Lombard Street is copyrighted. DO NOT REPOST it on any other system without written permission. For reprints please contact Curtis Martin. Back to Lombard Street.